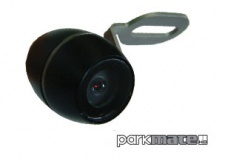 Parkmate cameras can save your vehicle from incident or in extreme cases, be a truly lifesaving device. 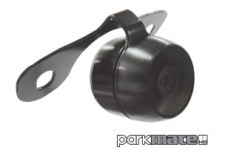 When coupled with a Parkmate monitor, areas external to your vehicle that are not visible to you including directly behind your vehicle, below the rear windshield, in typical over the shoulder blind spots and even in front of your vehicle and low to the ground come back into your field of view and can be negotiated safety, thereby protecting your investment and your family. An average of one child per week is either killed or injured by reversing vehicles at home in Australia, a statistic that could be significantly reduced with a Parkmate camera and monitor installed. This high definition camera is the best quality camera on the market. It features a wide angle glass len that captures the area not visible to standard rearview mirrors even in low light conditions. Ideally suited for cars, vans, 4x4's with a lip above number plate area. 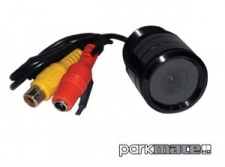 This high resolution camera is the best mini camera available and can be mounted almost anywhere. 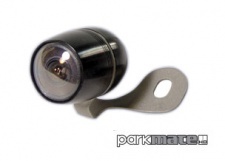 Features a wide angle lens that captures the area not visible to standard rearview mirrors. Comes with a Butterfly Mount which makes it adjustable to almost any angle. This high definition camera can be mounted almost anywhere. Features a wide angle lens that captures blind spots not visible on a standard rearview mirror. Can be installed bottom of boot lid or lip area near handle also great on van doors. Comes with a Butterfly Mount which makes it adjustable to almost any angle. This high resolution camera can be mounted almost anywhere. Can be installed next to tailgate handle on lip, on number plates using existing screw & van doors. 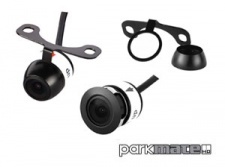 This camera features a wide angle lens that captures the area not visible to standard rearview mirrors. Comes with a Butterfly Mount which makes it adjustable to almost any angle & installs almost anywhere. 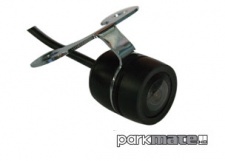 This versitile camera offers a choice of mounting options with either a bracket mount or a flush mount (bumper fit). It comes with a minature connector which allows it to be routed easily through tight spots. 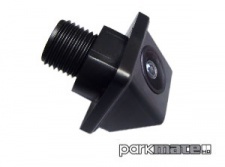 Easily Installs on bottom of boot lids, lip mounts - generally found above number plates, in bumpers & van doors. 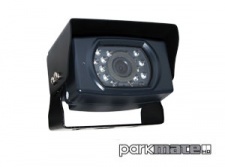 This camera is ideal for vehicles that have a lip surface above number plate, including van doors that have a lip. Key Hole Mount & minature connector which allows it to be routed easily through tight spots. This high resolution camera is primarily designed to fit flush in bumper bars, the IR sensors gives this camera excellent night vision. 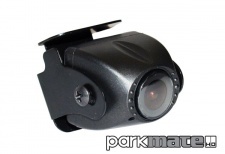 Features a wide angle lens that captures the area not visible to standard rearview mirrors. Installs flush in bumpers or any flat surface. 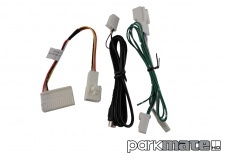 The TOYA1 cable kit enables you to interface your Toyota compatible head unit with any of Parkmate's cameras. 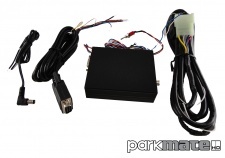 The RGBV cable kit enables you to interface your BA of BF Ford compatible head unit with any of Parkmate's cameras.